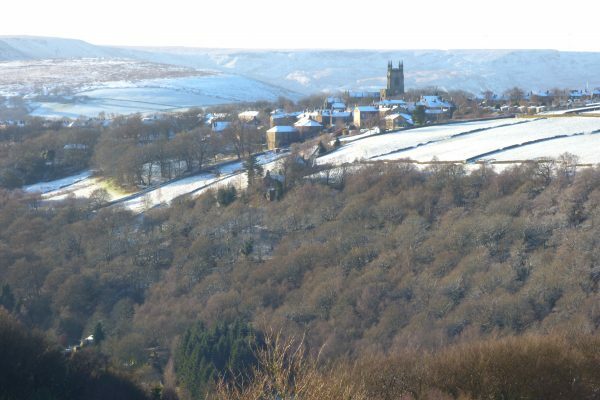 The ancient village of Heptonstall is on the hilltop above Hebden Bridge, directly opposite Pecket Well. 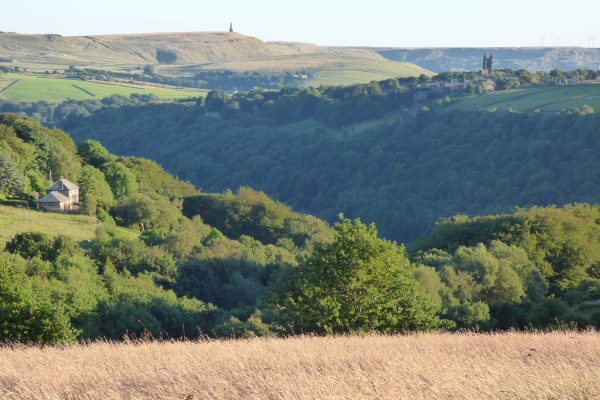 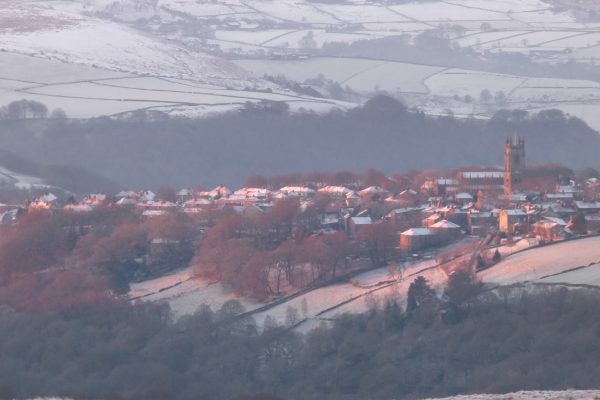 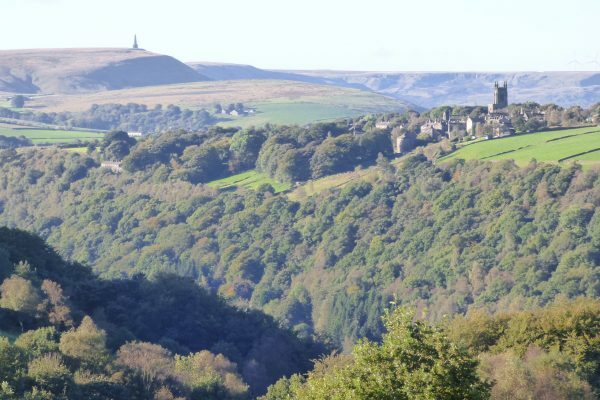 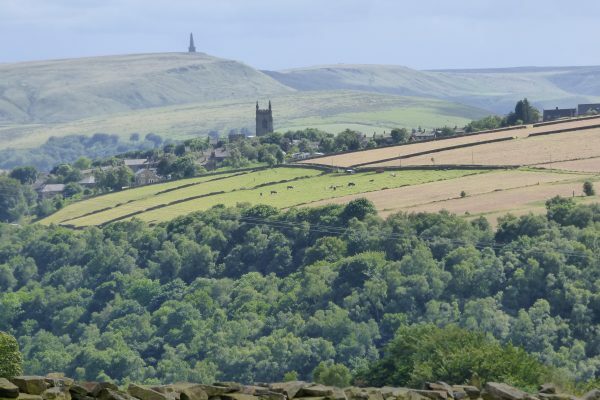 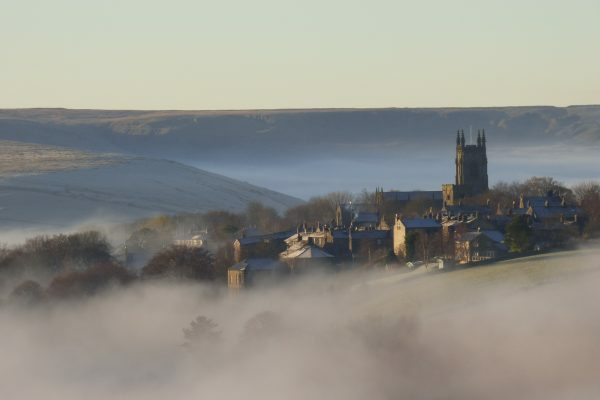 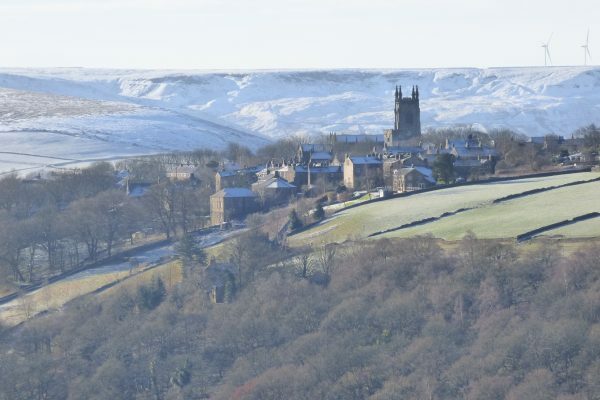 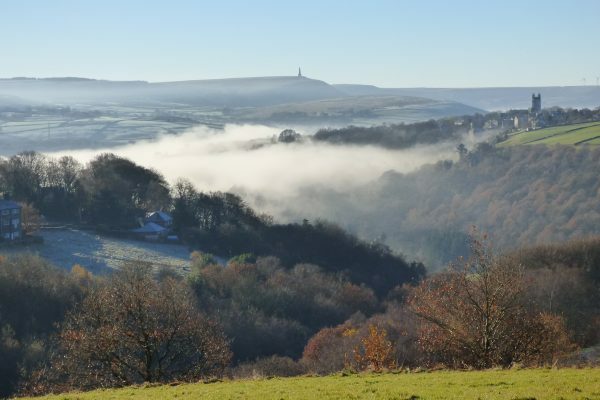 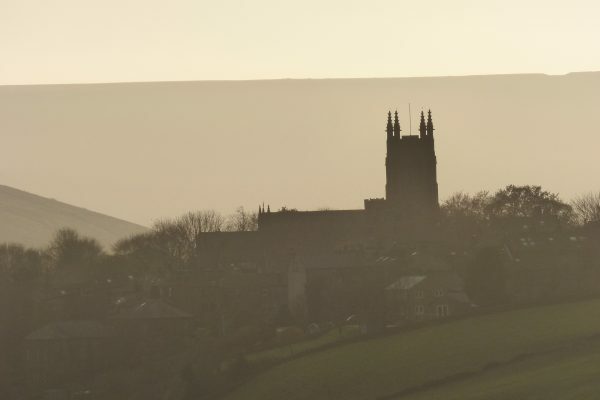 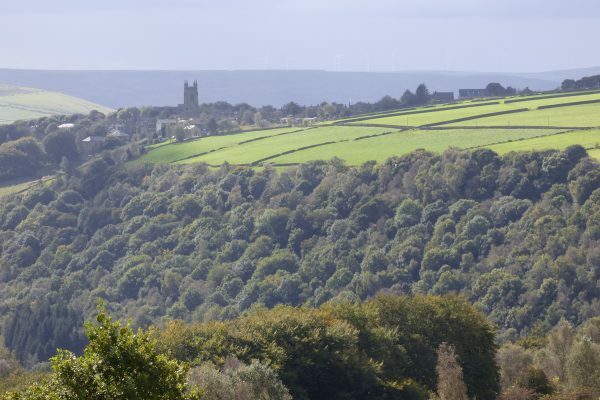 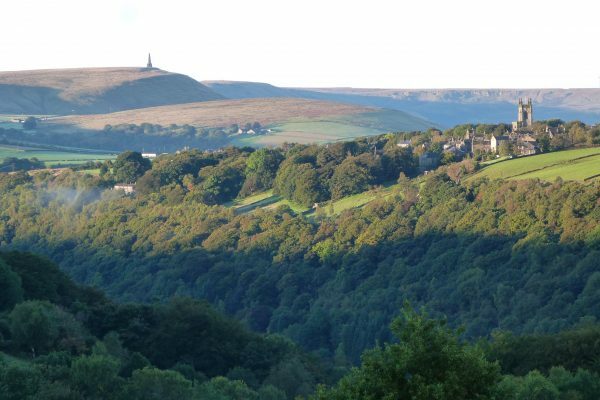 There are wonderful views of Heptonstall from Elmet Farmhouse across the steep wooded valley of Hardcastle Crags, with the church tower silhouetted on the horizon. 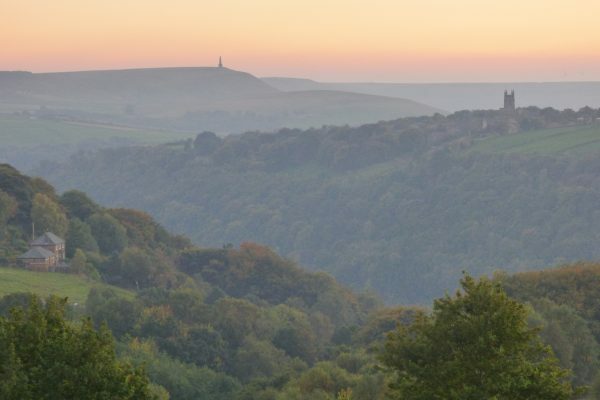 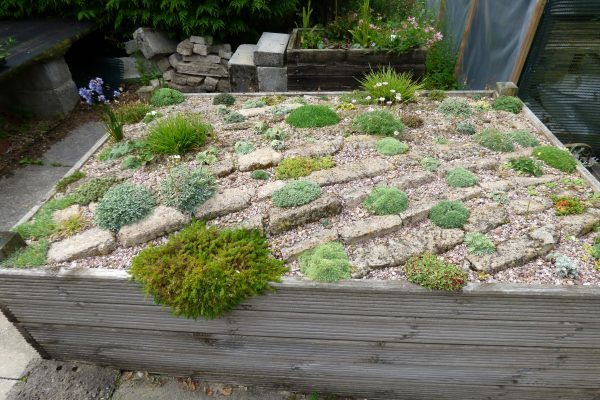 This view is constantly changing depending on the seasons, the weather and the angle of the light at different times of day. 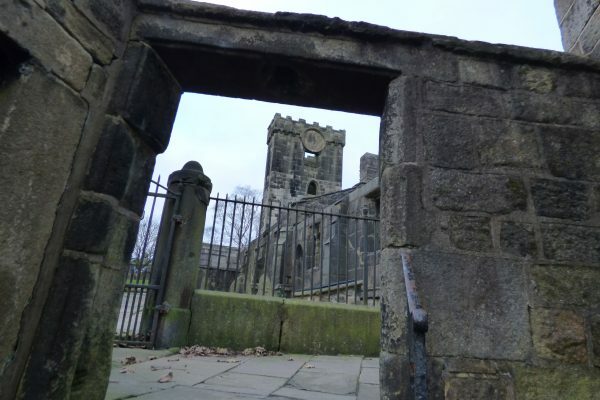 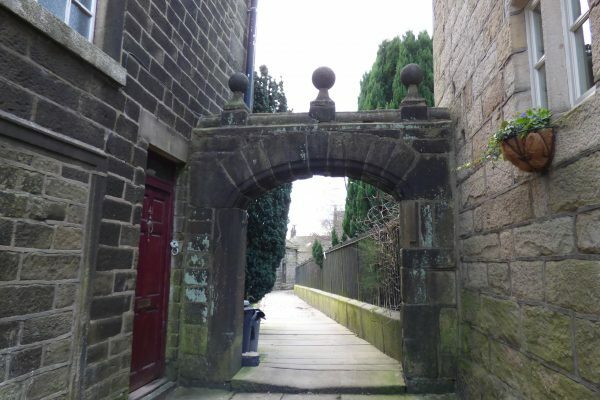 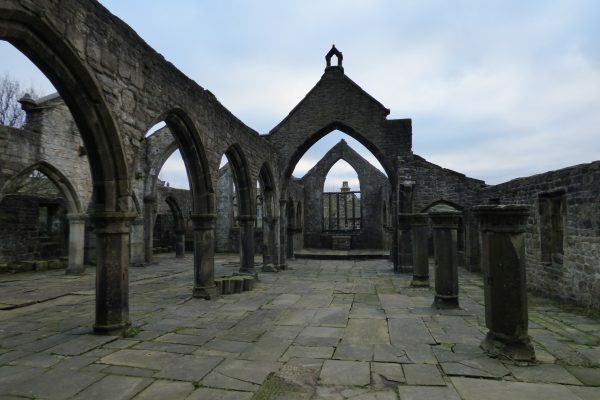 Heptonstall is considerably older than Hebden Bridge and has a fascinating history dating back to Saxon times. 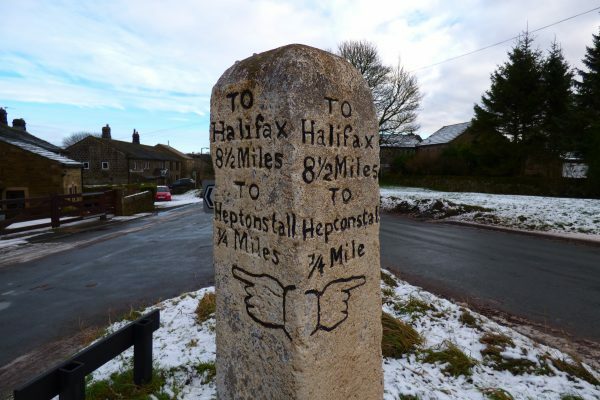 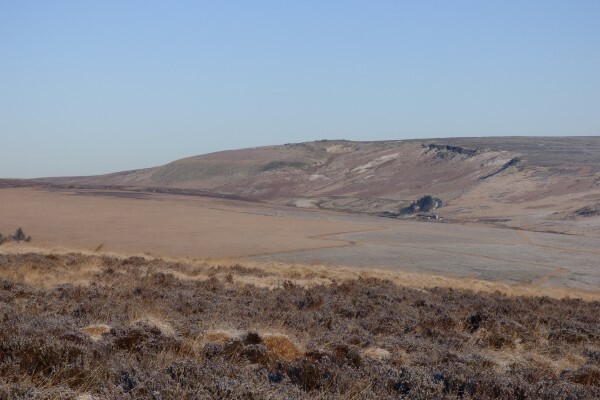 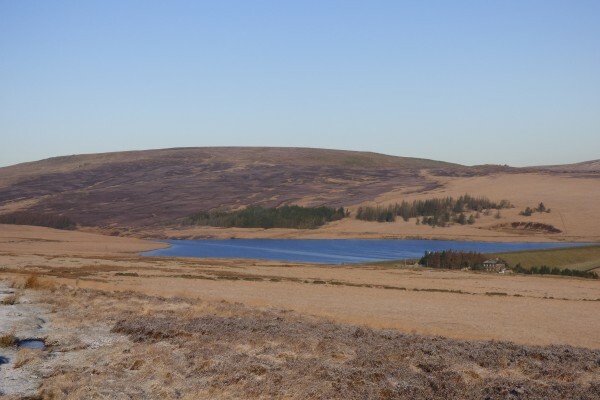 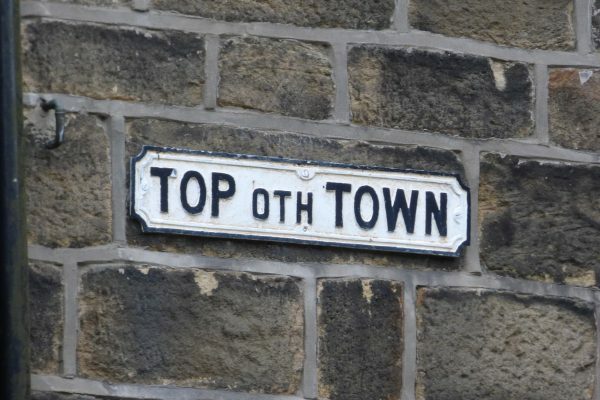 ‘Hep’ means ‘high’ and ‘Tonstall’ means ‘township’, the name given to the early settlements in this part of the Pennines, most of which were on the hilltops, rather than down in the valleys. 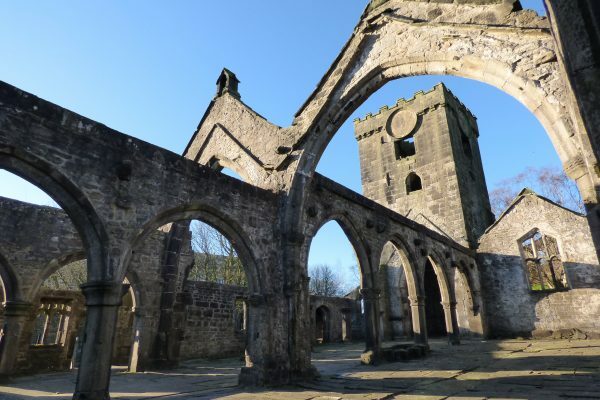 Heptonstall’s historical significance is indicated by the fact that it was mentioned in the Domesday book survey of 1068. 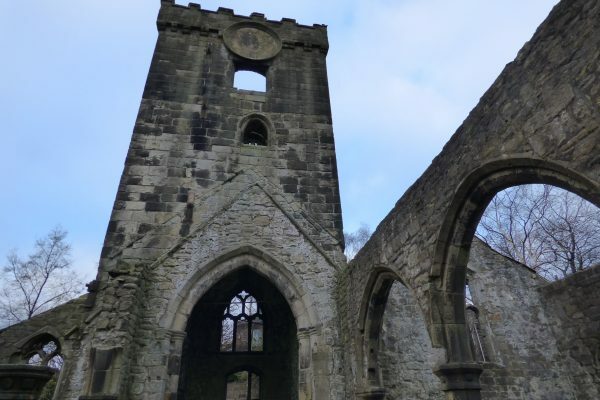 The ruined chapel in the centre of the village, dedicated to St Thomas a Becket, dates back to 1256. 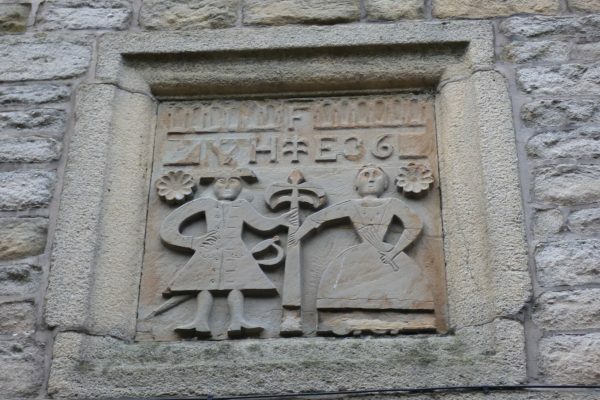 Allied to the Parish Church in Halifax, the chapel was extended during the 14th and 15th centuries and most of the surviving stonework dates from this period. 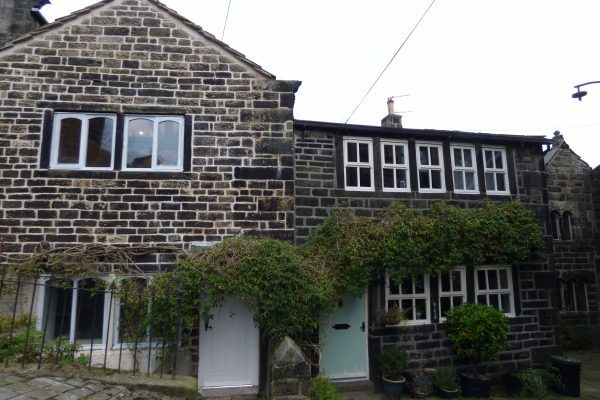 Some of the houses in the village date back to the 16th century. 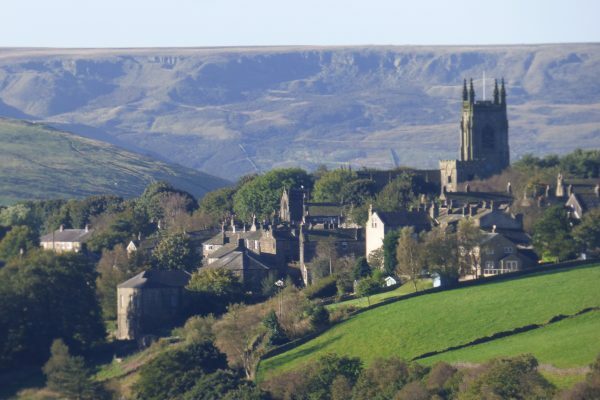 Heptonstall’s first Cloth Hall was built between 1545-58 and its Grammar School was endowed in 1642. 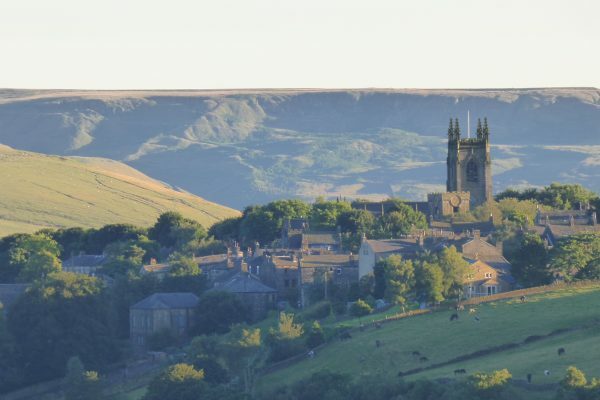 Heptonstall’s heyday was in the 17th and 18th centuries, when the village thrived from the flourishing local ‘dual economy’ of farming and textiles. 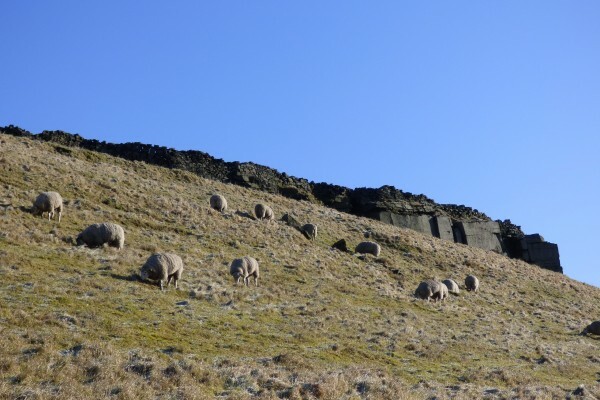 Income from cattle and sheep reared on the hilltop meadows was supplemented by the production of woollen cloth, woven by yeoman clothiers in their farmhouses and by handloom weavers in their cottages. 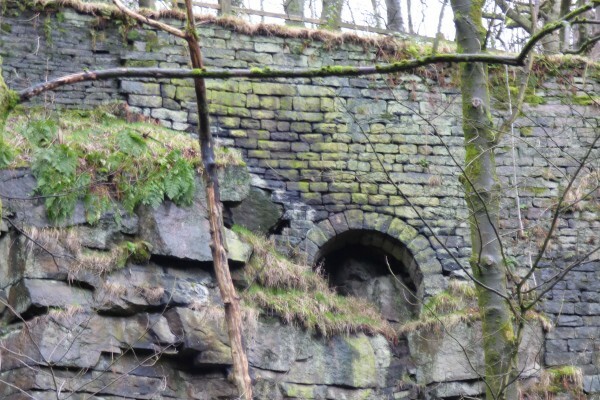 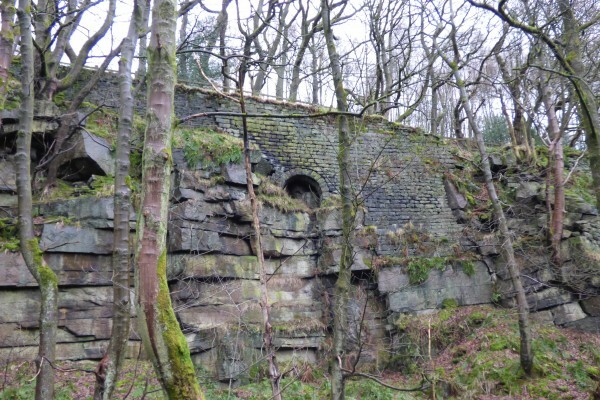 By the 18th century, water-powered spinning mills were being built in nearby valleys such as Colden Clough. 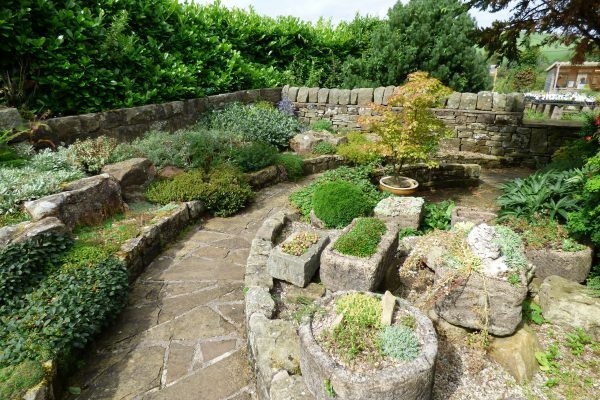 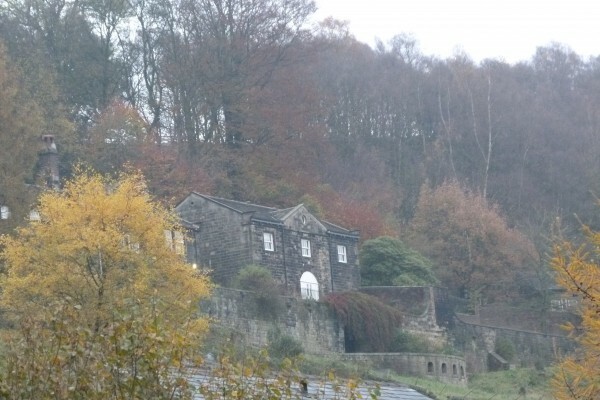 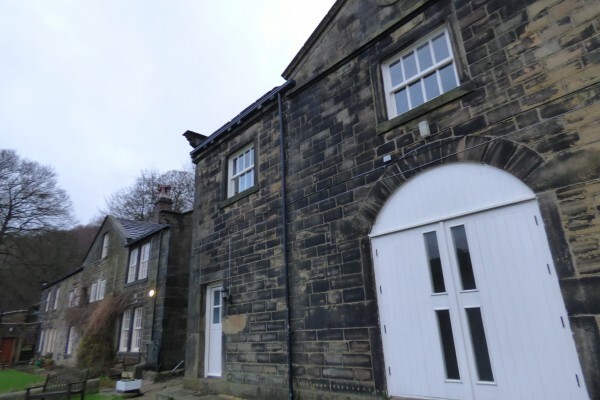 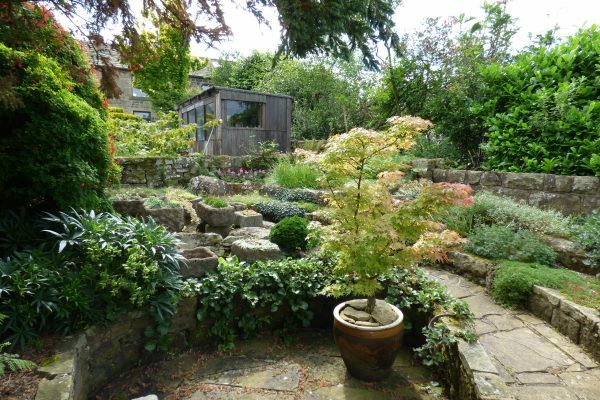 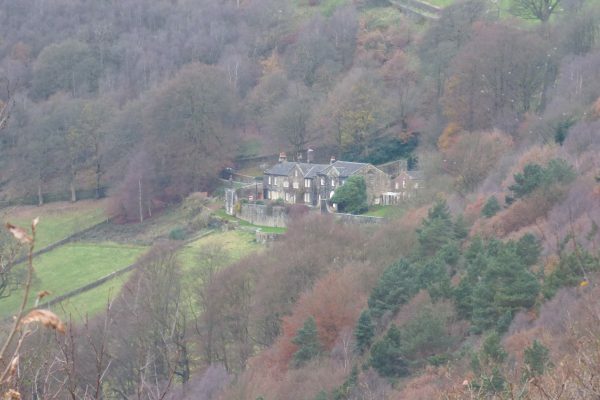 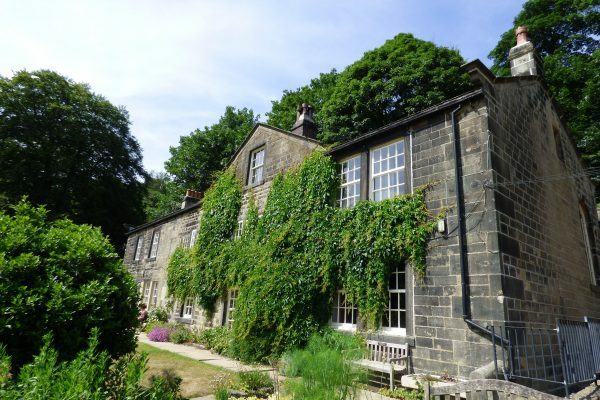 Lumb Bank, the house of one prosperous millowner, was later bought by local poet Ted Hughes and now houses a creative writing centre run by the Arvon Foundation. 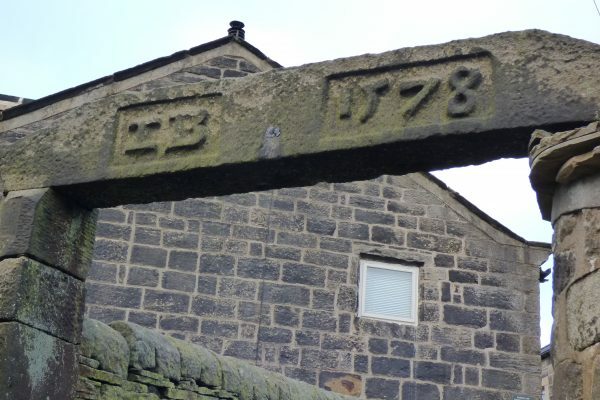 Following the building of the Piece Hall, a large cloth market in Halifax, in 1777, Heptonstall’s pre-eminence in the textile trade declined. 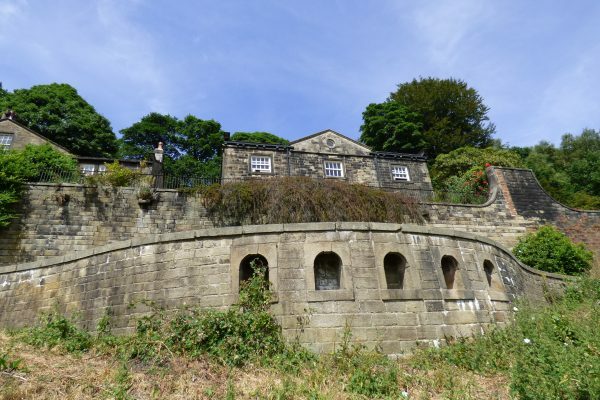 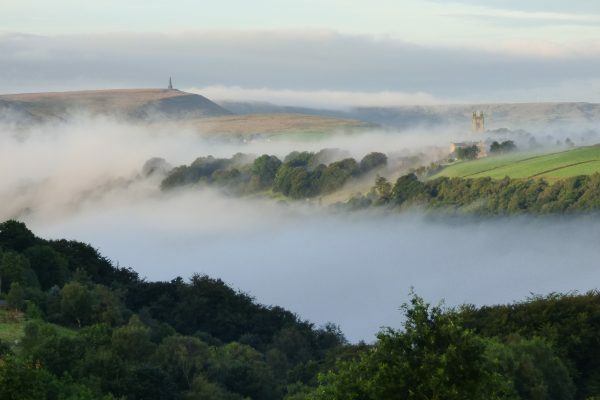 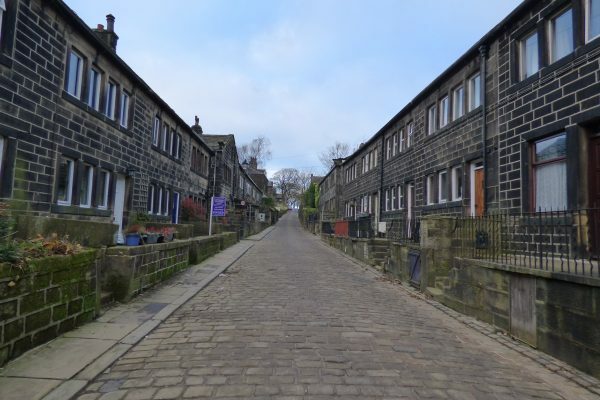 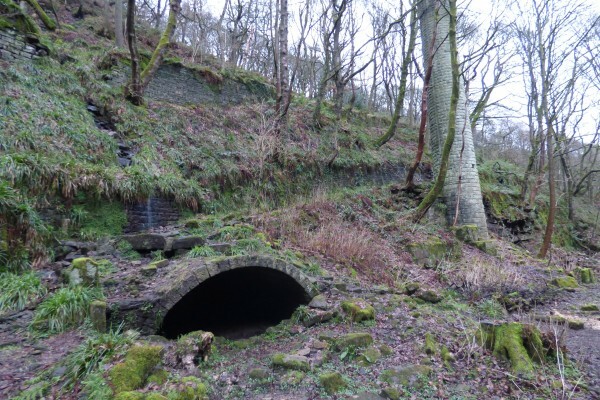 During the 19th century, it was eclipsed by Hebden Bridge, where large water-powered and steam-powered factories were built following the development of the canal, railway and roads in the Calder Valley. 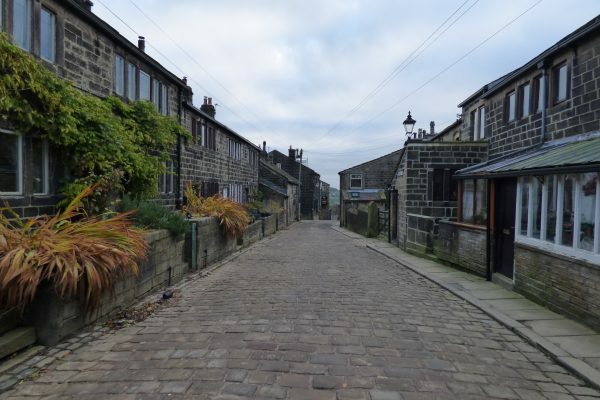 Heptonstall village is remarkably well preserved, having been designated as a conservation area in 1967. 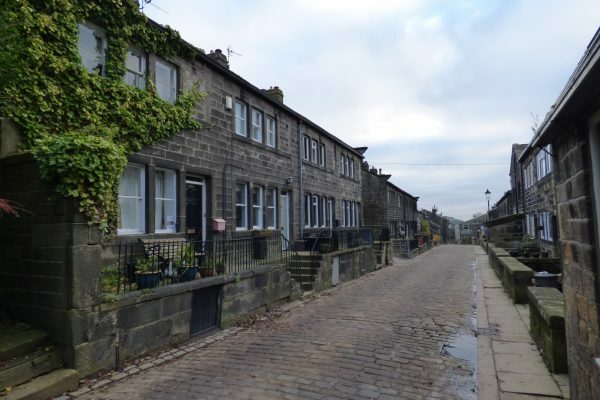 The steep narrow cobbled main street is flanked by handloom weavers’ cottages. 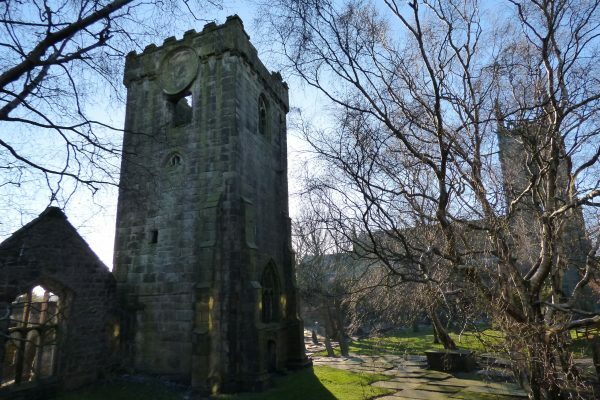 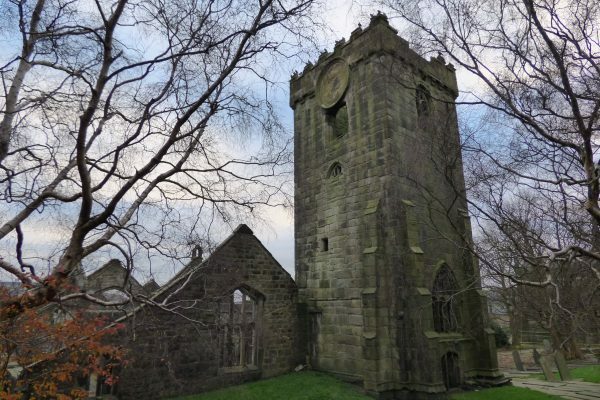 The ruined chapel makes an evocative contrast to the 19th century church with its pinnacled tower constructed just a few yards away. 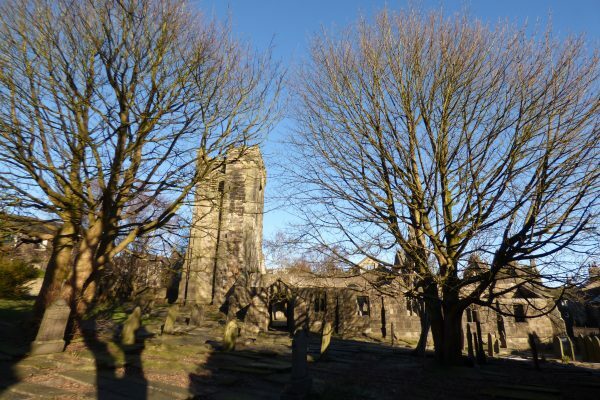 David Hartley, the Cragg Vale Coiner, who was hanged in 1770 for his role in a notorious counterfeiting ring, is buried in the graveyard. 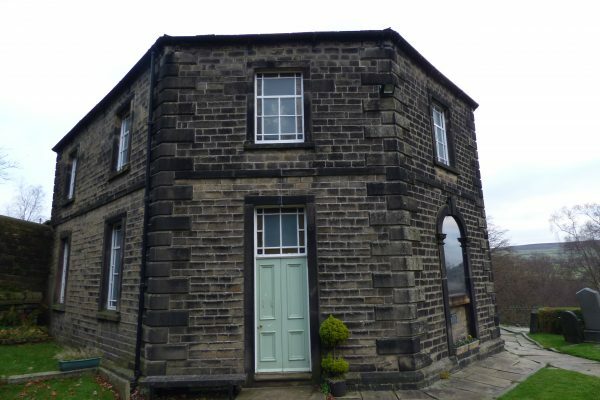 Nearby, on Northgate, is the striking 18th century octagonal Methodist Chapel, built at the instigation of John Wesley in 1764. 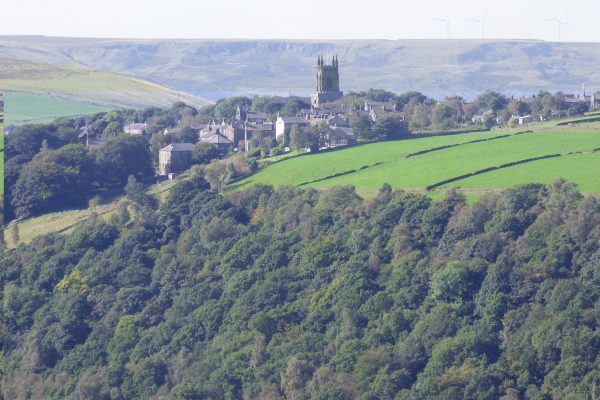 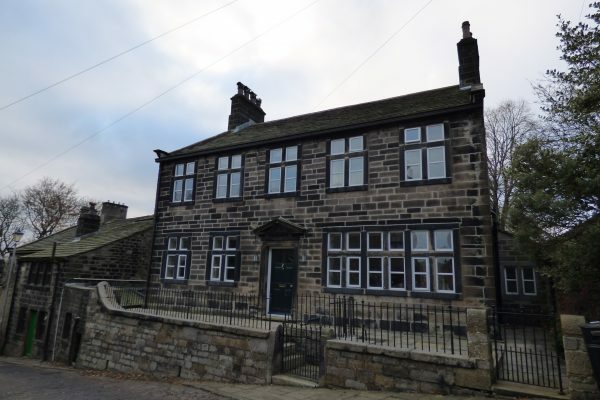 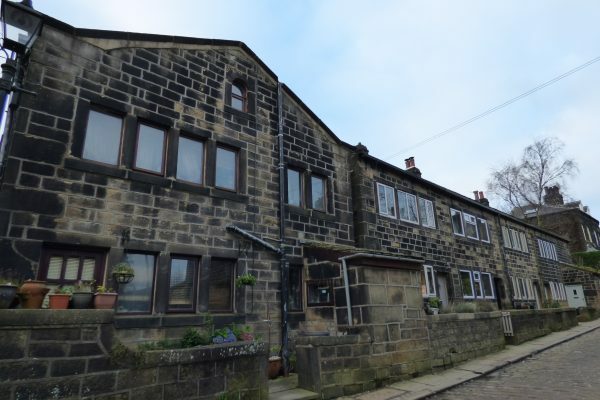 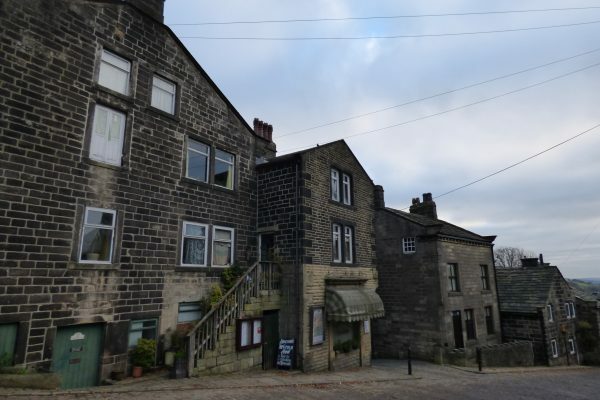 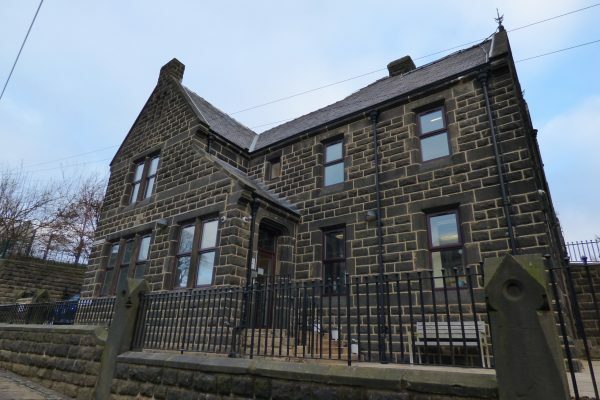 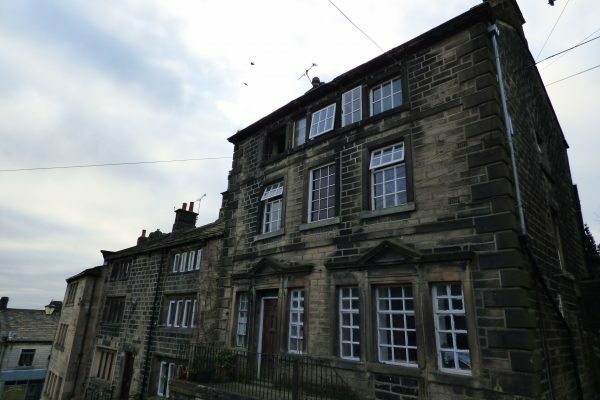 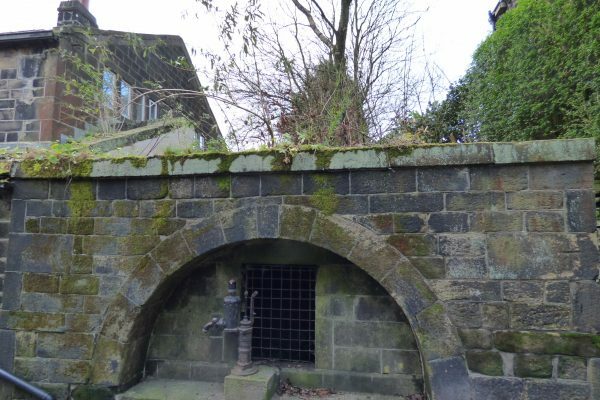 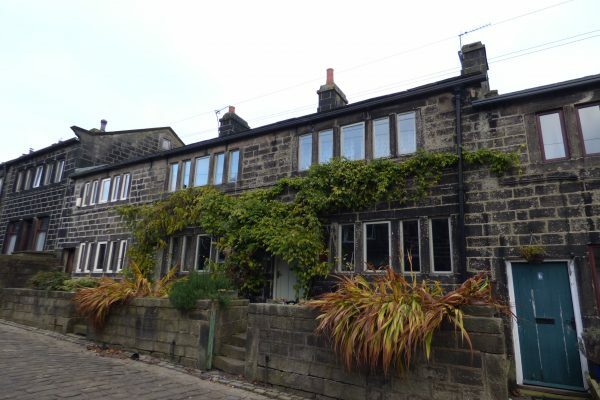 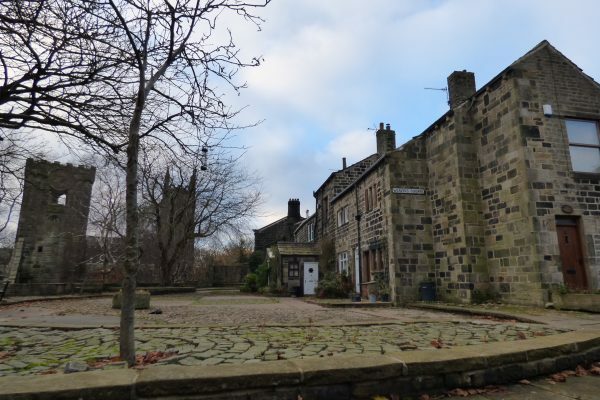 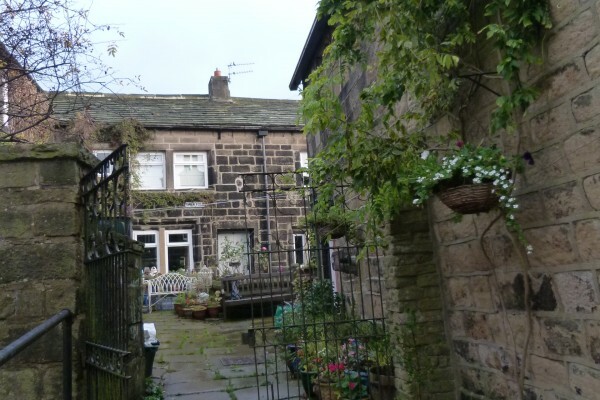 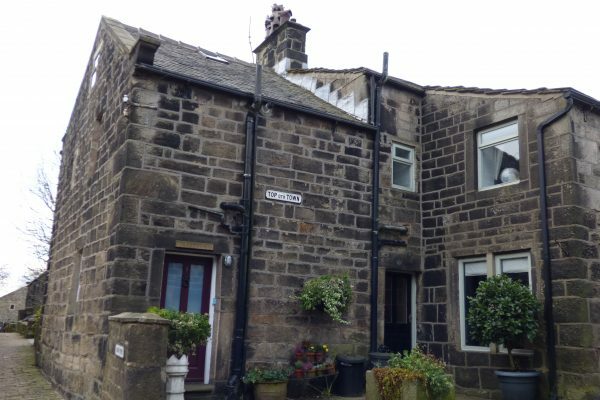 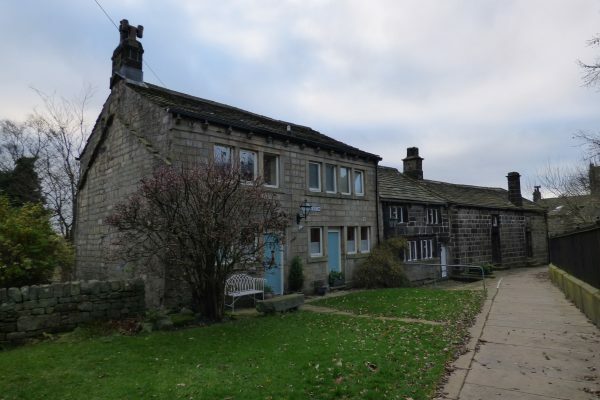 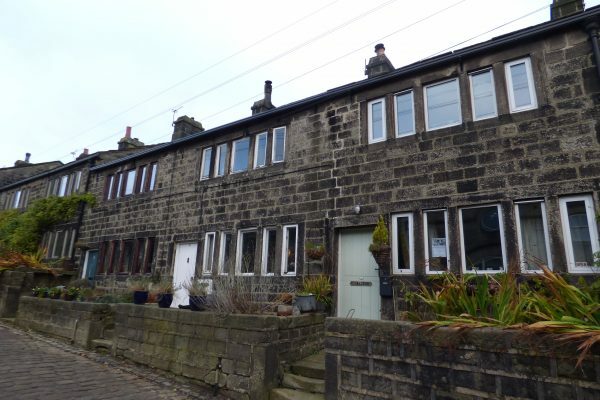 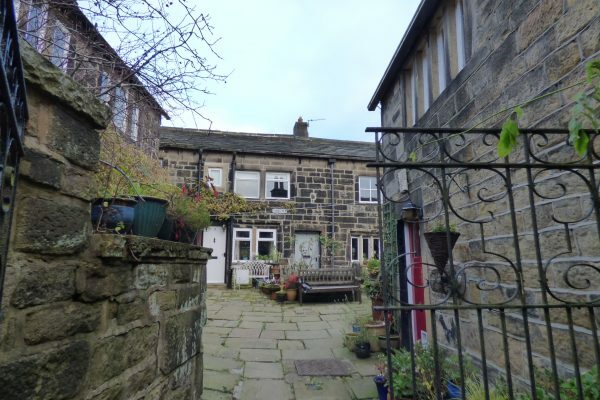 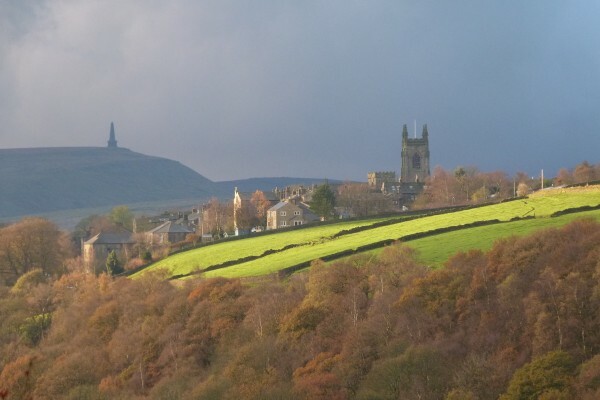 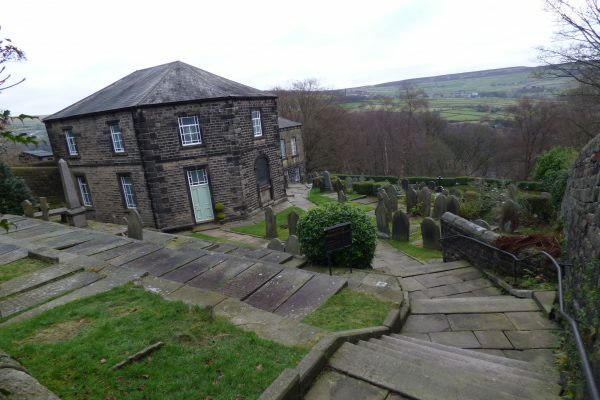 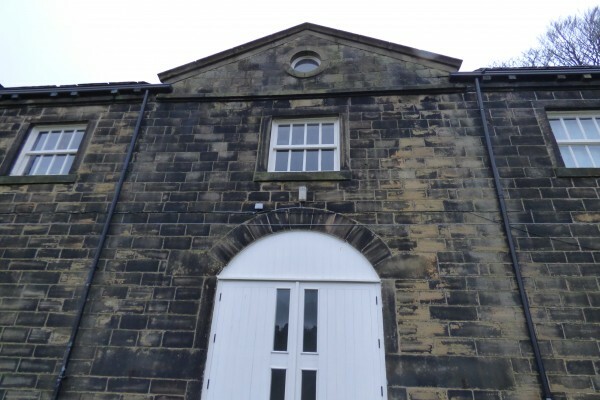 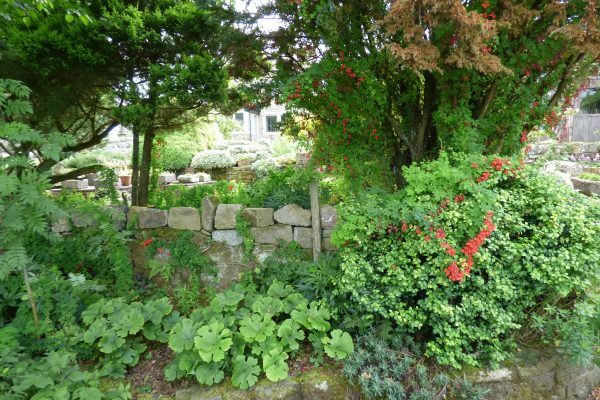 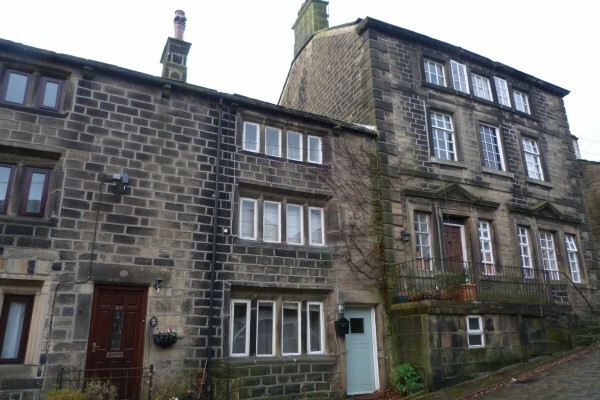 Ted Hughes had close links with Heptonstall as his parents lived at Slack, just above the village, so he visited regularly, and later bought neighbouring Lumb Bank. 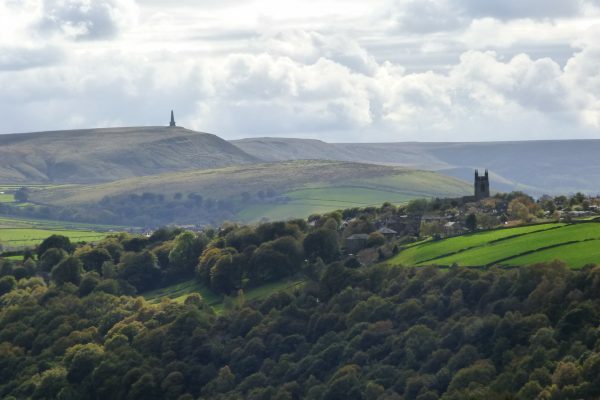 Hughes wrote about the area throughout his career. 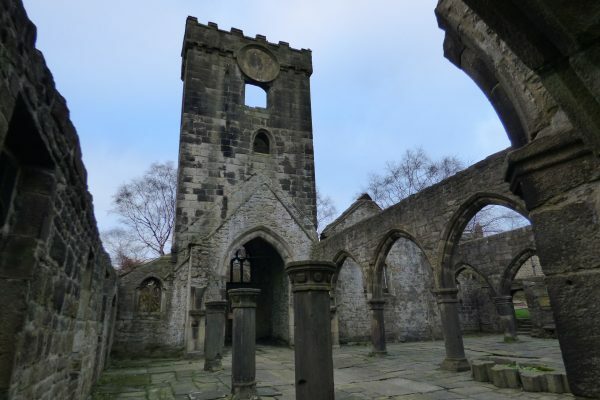 His book Remains of Elmet, featuring several poems about Heptonstall, was published in 1979. 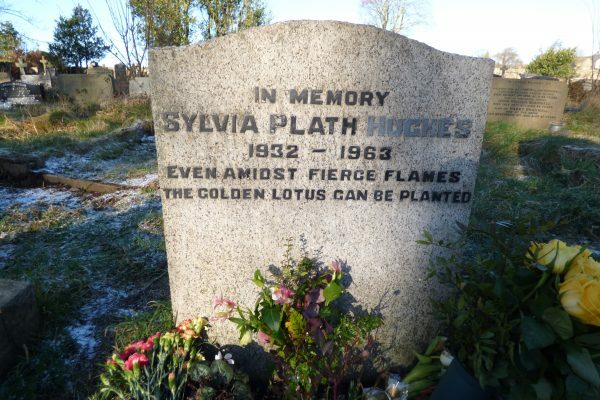 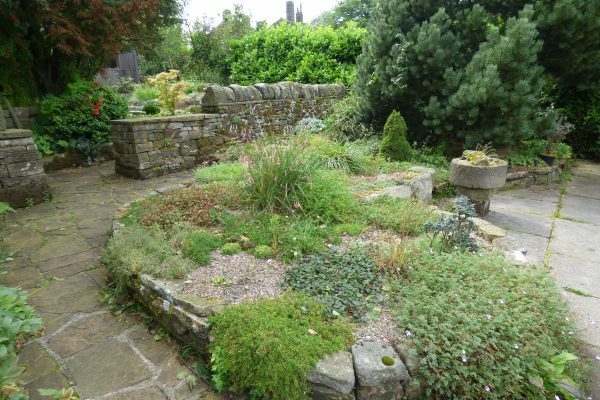 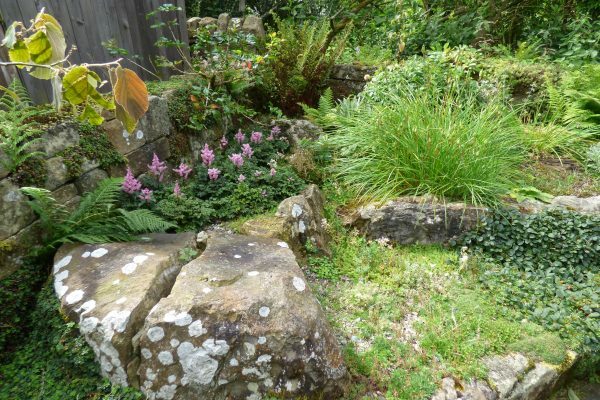 Hughes’s wife, the American poet Sylvia Plath, who committed suicide in 1963, is buried in Heptonstall churchyard. 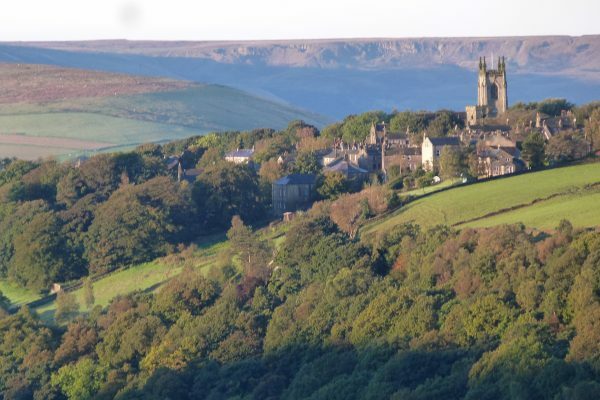 An annual festival of music-making held in Heptonstall at the end of May for amateur musicians from all over the country. 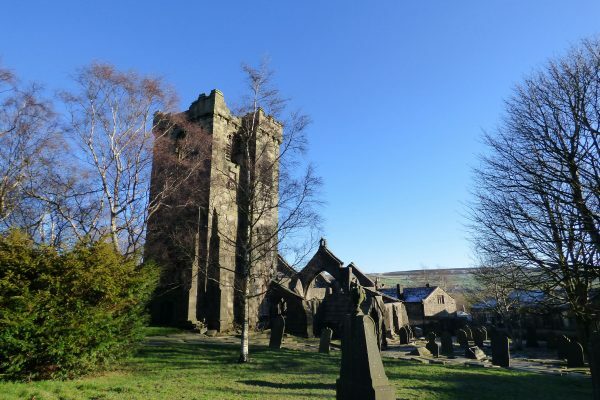 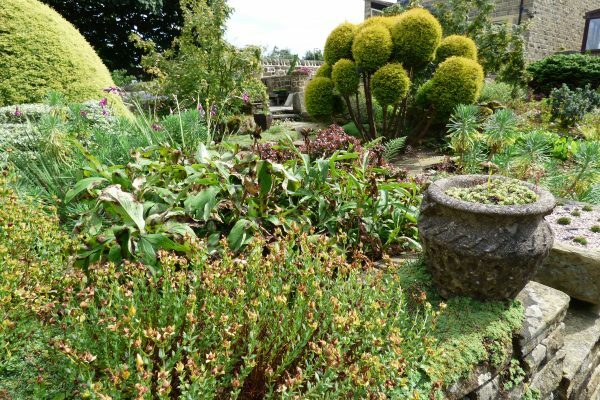 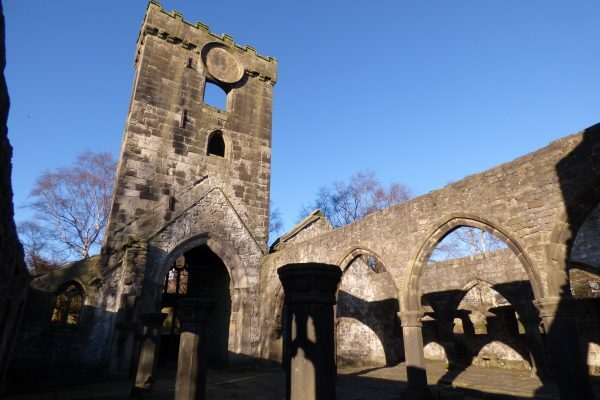 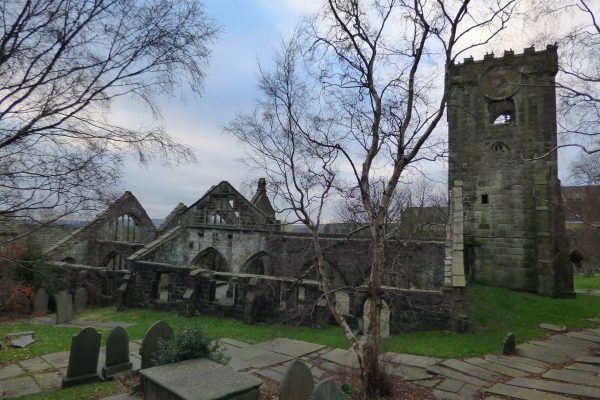 Bringing together singers and instrumentalists, the festival culminates in a series of concerts in Heptonstall Church. 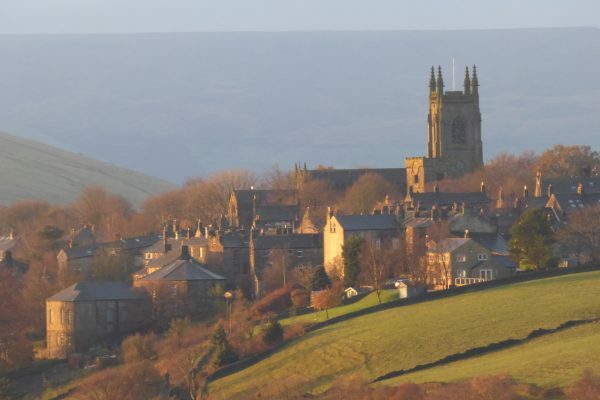 For further information about the festival, please click here. 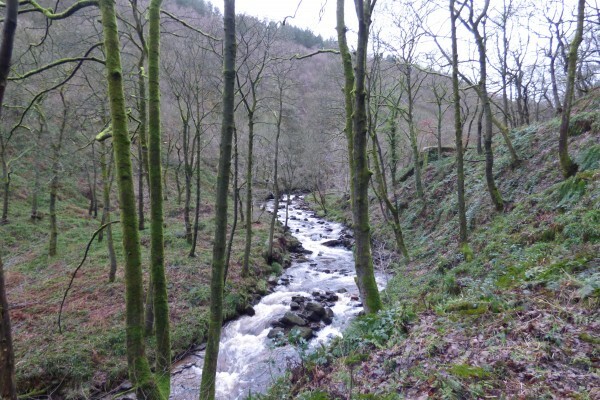 Colden Clough is a gorge-like valley near Heptonstall, on the opposite side of the village from Hardcastle Crags. 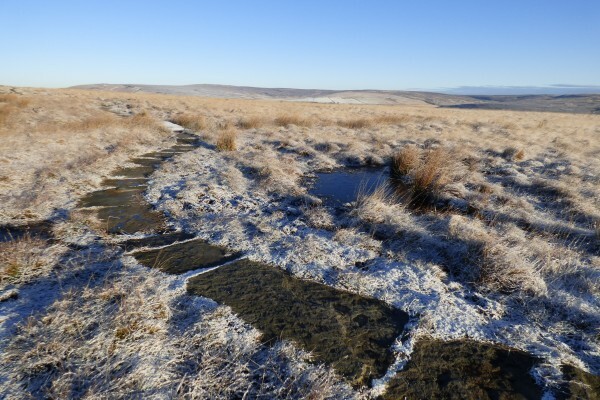 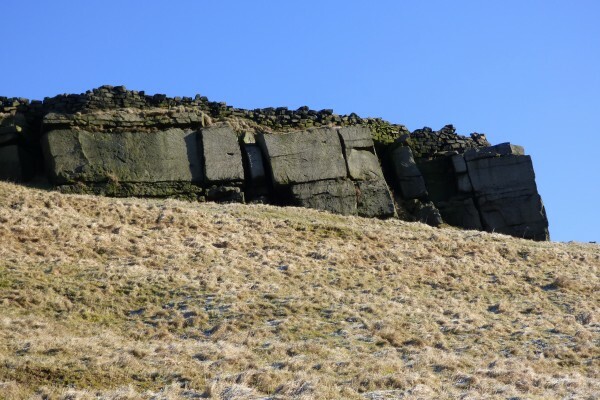 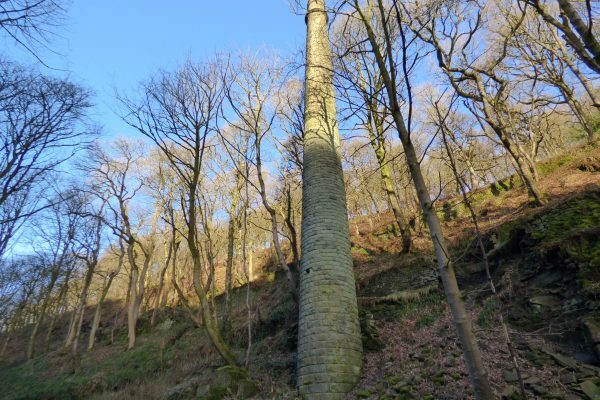 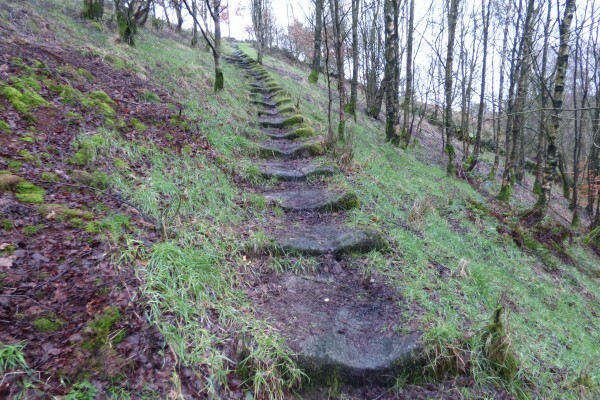 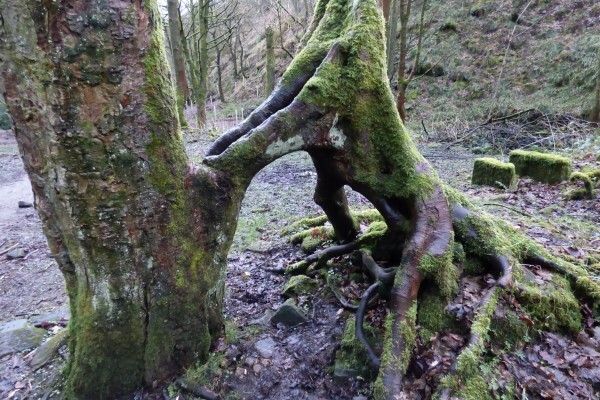 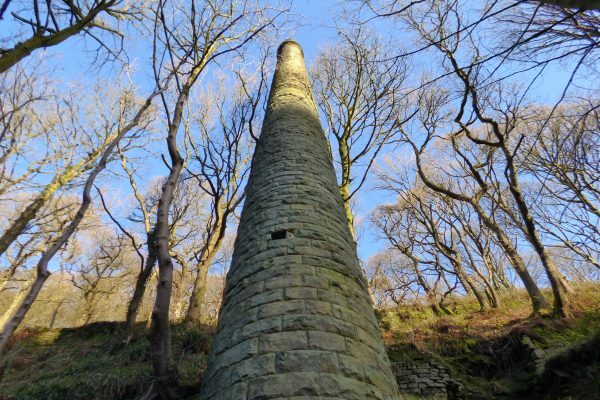 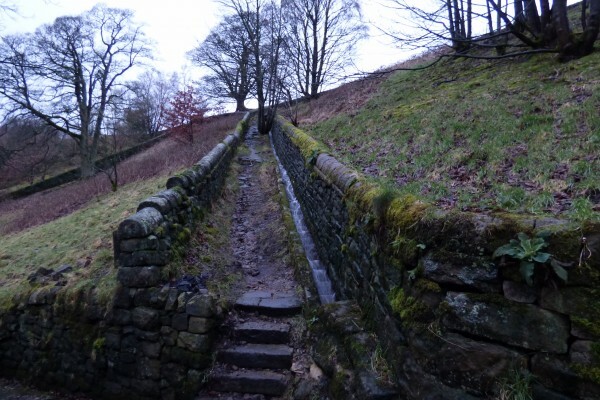 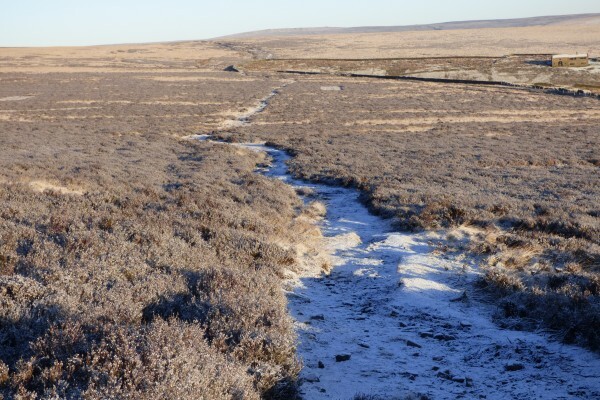 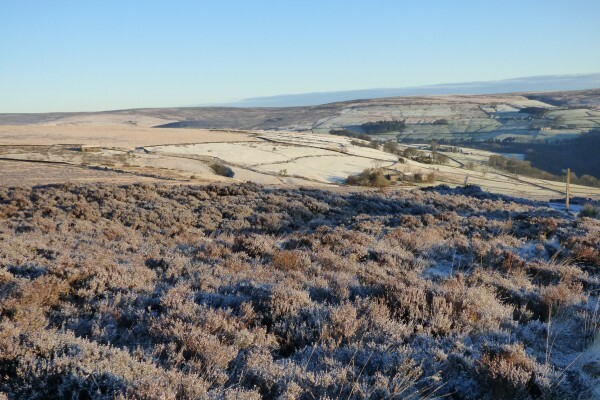 These photographs document walks through Colden Clough via Lumb Bank – an 18th century millowner’s house formerly owned by Ted Hughes, now a creative writing centre run by the Arvon Foundation. 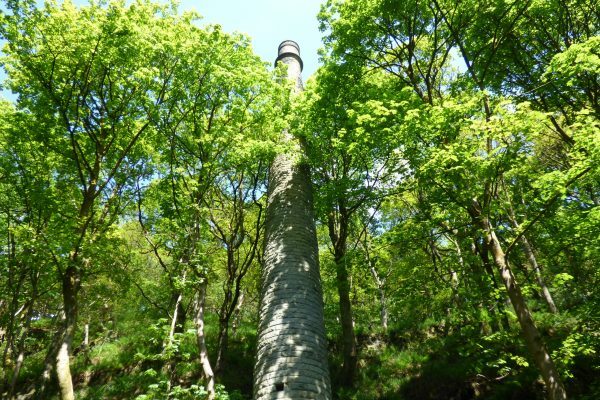 The towering mill chimneys poking out above the trees are virtually all that remains of a substantial complex of textile mills next to Colden Water, the fast-flowing running through the valley. 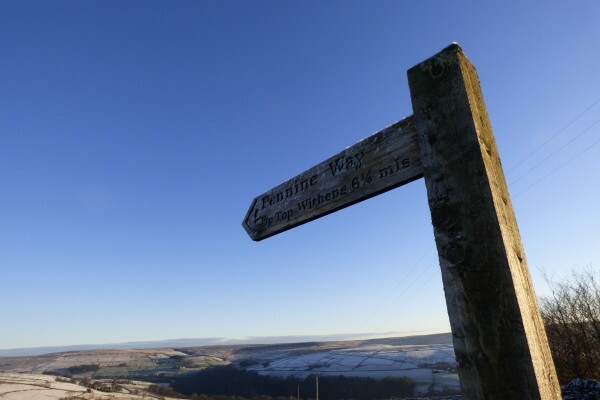 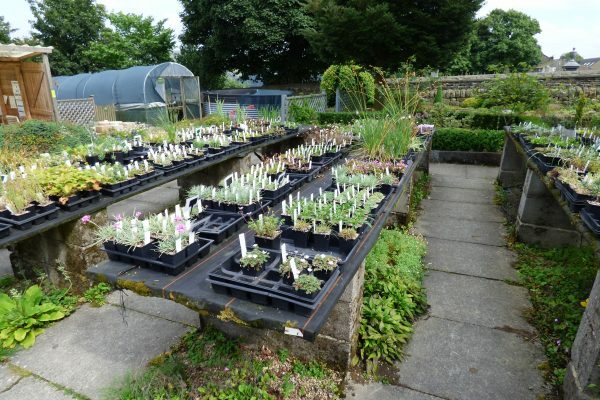 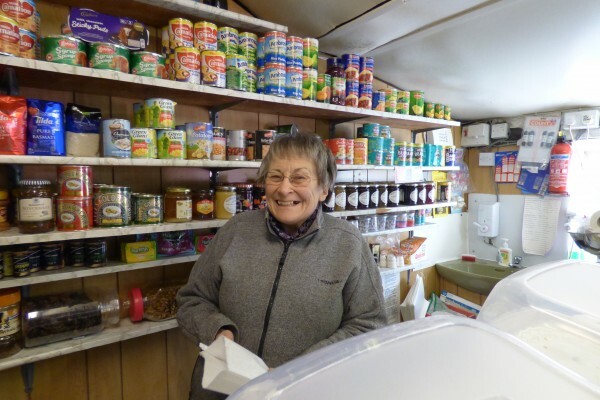 An early morning walk along a stretch of the Pennine Way on a sparkling winter’s day, starting and finishing at the delightful May’s Aladdin’s Cave, a fabulously well-stocked farm shop tucked away on Edge Lane above the village of Colden, near Heptonstall. 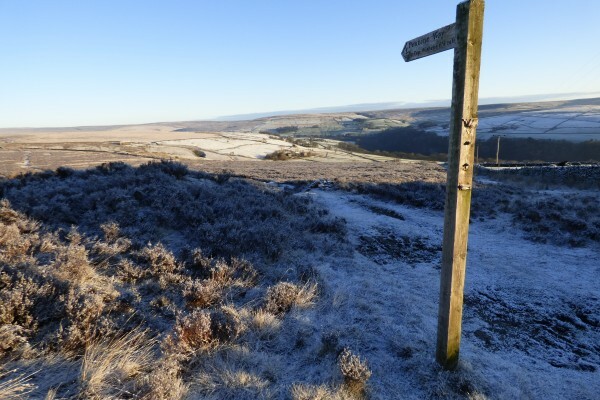 Overnight the temperature had dipped several degrees below freezing so there was an extremely hard frost at the start of the walk . 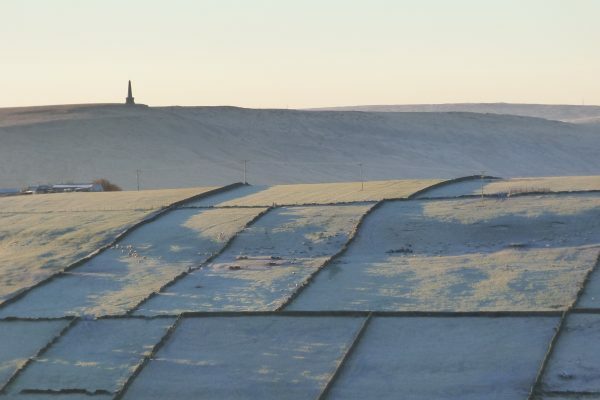 The fields below Stoodley Pike were so white that it looked as if it had snowed. 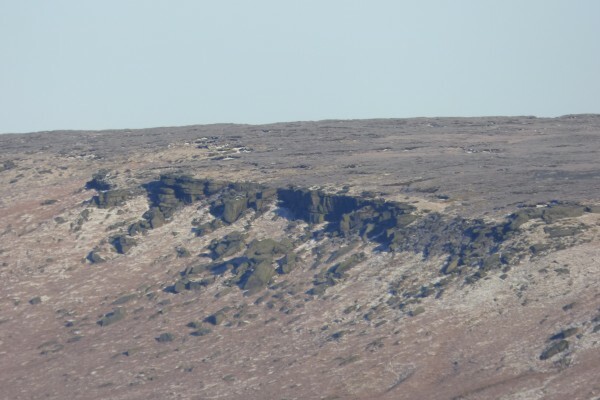 Up on the Pennine Way crossing Heptonstall Moor above Hardcastle Crags, the heather and grasses were laden with glistening ice crystals. 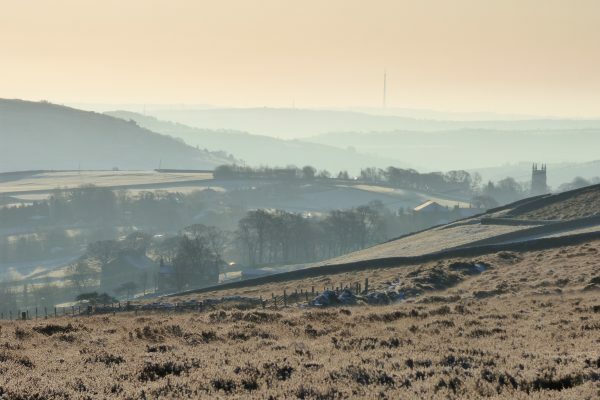 The low winter sunshine reflecting off the frosty Pennine hills created wonderful hues ranging from pale orange to pinkish purple.